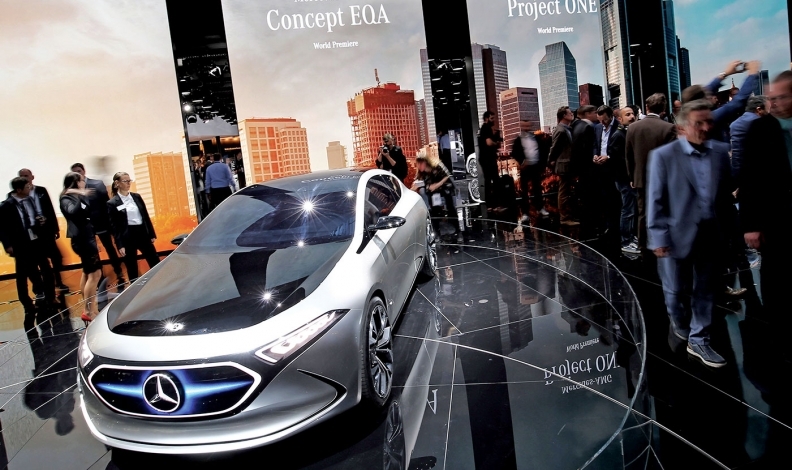 Mercedes showed the direction of its electrified vehicles with the Concept EQA. A few weeks ago, the small but earnest Battery Show wrapped up its eighth annual North American event in Novi, Michigan. Over three days, 8,311 attendees and 847 conference delegates walked through a hall featuring companies working on every aspect of automotive propulsion battery technology and handing out all manner of little chocolates. The attendee and delegate numbers were up from the 2016 (6,928 and 686) and 2015 (5,716 and 576) figures, just one small example of the undeniable growth in the nitty-gritty work of improving battery technology. Alongside the expo, conference sessions covered everything from battery thermal-management strategies to global safety certification for lithium ion batteries to the effect of autonomous technologies on electric vehicles. Despite the depth of discussion, the conference didn't generate any major headlines in the automotive press. Turns out, the EV revolution is not being televised. In an era of stable gasoline prices and booming SUV sales, even dramatic advances in EV development don't often make big headlines, unless it's a Tesla product reveal or an automaker announcing plans to add electrification across its lineup. The news is out there, though, if you know where to look. The all-electric Formula E racing series, for example, is welcoming new automaker teams: BMW in 2018 and Mercedes-Benz in 2019, after Audi arrived as a full team sponsor this past season and Jaguar in 2016. Ford's most recent sustainability report lists electrification as one of the company's Strategic Priorities (along with a mission to keep selling standard SUVs and pickups, of course). In September, electric-bus-maker Proterra claimed a record for the longest distance traveled by an EV on a single charge, with a 1,772.2 km (1,101.2 mile) test drive on a track in Indiana using a bus with a giant 660 kilowatt-hour​ pack. Sure, if you pack a big enough battery into a vehicle, you can always increase the overall range, but the important thing to note is the miles-per-kWh number for this record: 1.67. In September 2016, Proterra's record was 603 miles with a 440 kWh pack, or 1.37​ miles per kWh, while the 2015 number stood at 258 miles from a 257 kWh pack, or 1 mile per kWh. In two years, Proterra managed a dramatic range increase, but most people didn't read anything about it. Nonetheless, these sorts of advances — and what they mean for the transportation industry — are not escaping the notice of the industry's big players. In fact, they've been watching for them all along. The Renault-Nissan Alliance sells a number of electric vehicles, including the e-NV200, and will introduce even more. "It's not going to be a one-model strategy," said Nissan's Brian Maragno. For decades, many of the big automakers have had EV projects that only sometimes became public knowledge. Nissan, for example, built the Tama electric truck for oil-poor postwar Japan in 1947, and Chevrolet had the Electrovette concept in the 1970s. In the 1990s, General Motors famously offered the EV1 for lease in California, whetting the appetite for zero-emissions vehicles in the Golden State. Tesla, of course, introduced the world to its Lotus-based Roadster in 2006, a big step forward in building a desirable brand and cachet around EVs. Until 2010 — when the Chevy Volt plug-in hybrid and Nissan Leaf all-electric vehicle were released — major automaker efforts were mostly conducted in private, with small engineering teams simply working on the technology as a way to prepare for when a battery-powered vehicle made sense. "We're seeing pretty much every OEM working on electrification at various levels, including the development of dedicated EV platforms, especially from the bigger automakers," said Sam Abuelsamid, senior research analyst at Navigant Consulting Inc. Flexible platforms and advances in battery technology have enabled broad commitments to electrification. These modular platforms — such as the Volkswagen MEB or Mercedes-Benz's new electrified platform that is used in the EQ subbrand — are designed for EVs with battery packs flat in the floor and can be used for vehicles of varying body types. This is the kind of advancement and investment that lead manufacturers to speak confidently about electrifying — or offering an electrified version of — every vehicle in their lineups: Volvo, Aston Martin, Mercedes-Benz, Ford's Lincoln and Bentley, among them. "We've got dedicated battery-electric platforms from a lot of the brands," Abuelsamid said, "with some even taking their traditional architectures and adapting them to electrification at various levels, from 48-volt on up through plug-in hybrids and full battery electrics." It's becoming easier to add batteries to a new vehicle because the pack costs keep coming down. The exact numbers are notoriously difficult to pin down, with concern for proprietary information, but whatever they are, they're dropping. Early reports for the Volt and Leaf in 2010 suggested a price of around $400 per kWh. In 2016, Jeff Evanson, head of Tesla's investor relations group, said the cost for a Model S battery pack was less than $190 per kWh, and the Department of Energy says that its target for the industry is $125 per kWh by 2022. While every new luxury or performance EV is inevitably dubbed a "Tesla fighter" at birth, advocates of the technology don't see a fight at all. 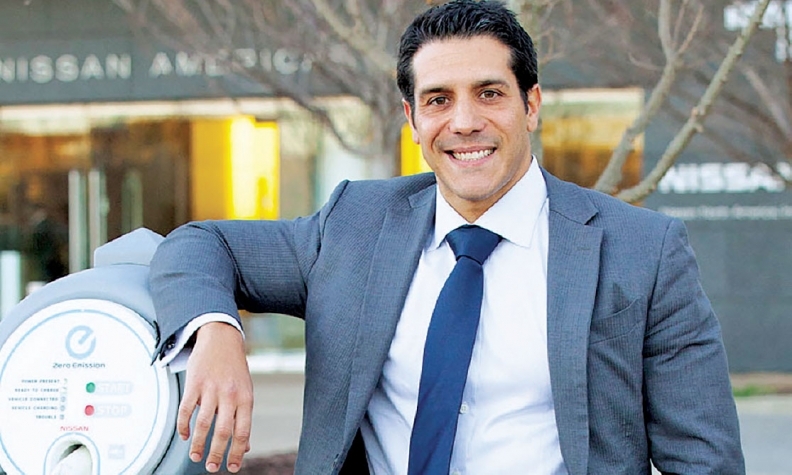 Brian Maragno, Nissan's director of EV marketing and sales strategy, said new electric options don't hurt longtime players such as the Leaf. Quite the contrary, in fact. "It's great to see other OEMs making big announcements and putting products out there to help drive awareness around the space," he said. "It helps the overall prospects for electric vehicles. By having other models out there, and not just being out there alone, it's actually really great for us. It validates the space. It validates the market in the eye of the consumer." Since 2010, Nissan has sold close to 300,000 Leafs. In that time, the company has discovered another under-the-radar way that EVs are gaining momentum: word-of-mouth. "The most powerful thing that I've seen in this space is the power of owner advocacy," Maragno said. "For so many customers I've spoken to, the passion is palpable." This sort of person-to-person advertising — taking a cousin for a test drive, telling a co-worker about your EV — is one reason that first-gen Leaf sales increased, year-over-year, even when the Chevy Bolt EV was released in the last year and stories about the second-gen Leaf started circulating. It's also why Nissan remains committed to all-electric vehicles. The Renault-Nissan Alliance sells a number of EVs, including the Renault Zoe and the e-NV200 van, and will introduce more models in the near future. Maragno did not give specifics but said: "In no uncertain terms, it's not just Leaf. It's not going to be a one-model strategy. 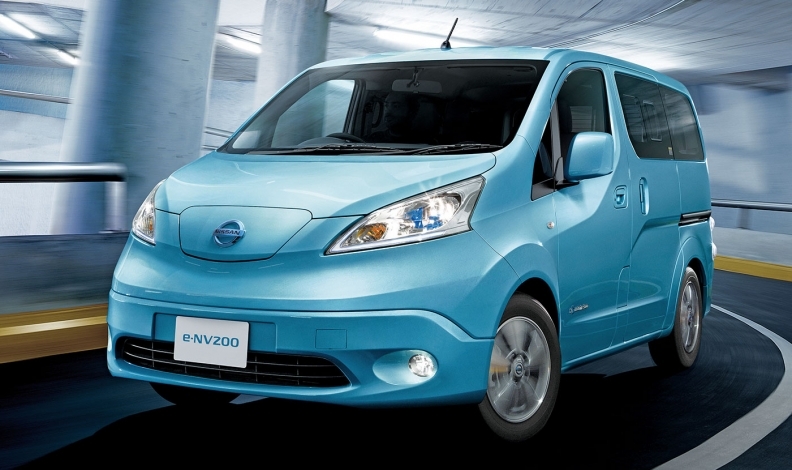 In our portfolio, there are products beyond Leaf, beyond Zoe, beyond the e-NV200. There's no question about it. We're beyond ecstatic about that." The onslaught of marketable EVs will require companies and societies to start facing up to the questions they've avoided or dismissed as theoretical as long as EVs were confined to the laboratory and early adopters' garages. A bare-bones charging infrastructure exists in most American homes, and manufacturers, local governments and charging-equipment companies have been installing more powerful public charging stations for many years now. But the kind of universal public network that can support large volumes of EVs and make American-style road trips possible is still far away. Tesla's Superchargers provide a model, but they can't juice up Leafs, Bolts or BMW i3s. Charging is just one part of the infrastructure puzzle. America's roads are paid for mostly through gasoline taxes, but the 18.4 cents a gallon that the federal government collects hasn't changed since 1983. Some states are testing alternative fee structures for plug-in vehicles to account for the loss of revenue from state gasoline taxes. California will charge ZEVs a flat annual fee of up to $175 starting in 2020, and Georgia charges EV drivers $200 a year, for example. But a broader restructuring of highway funding will require focus at the federal level. And a more basic question: Who will sell all these electric cars? Numerous reports suggest that car dealers have a hard enough time pitching their one or two plug-in vehicles to customers (just one reason why Tesla insists that it needs to sell its vehicles directly to customers), and teaching salespeople how to explain the various government incentives and extra fees is not going to be simple. Other questions loom as well: battery production capacity, raw-material supplies and the environmental impact of generating electricity. As more plug-ins hit the market, these issues will become more urgent. And more plug-ins will hit the market. Given the continuing pressure of strict carbon dioxide targets and potential bans in coming decades on standard gasoline or diesel vehicles in some European countries, the work happening at quiet little EV conferences and once-secretive automaker r&d labs slowly but surely will keep migrating to dealership floors. Actually, it might not be all that slowly.